Are you looking for a brief pause from everyday life stress and routine while enjoying the exhilarating sea breeze? Then a one-day cruise to the Argosaronic islands is the perfect option for you! The volcanic nature of the island has gifted it with a unique natural environment. This particularity lies also evident on the beaches, which are completely different from those normally encountered across the Aegean. DreamInGreece.com proposes 15 top destinations for holidays in Greece for 2016 - Learn everything you need to know. Top 15 Destinations for Summer Holidays in Greece 2016. Greek islands. Plan and book your holidays and hotel in Greece. Travel Guide of Greece. Dream in Greece. Vacations and Holidays in Greece. Beaches in Greece. Sea Kayaking is an exciting activity which perfectly combines exercise with pleasure. 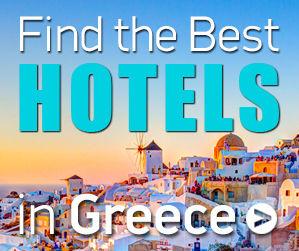 Daily Dreamingreece.com in cooperation with Booking.com presents you the best hotel discount deals in Greece for your holidays. Camping Proti which is located in Marathopolis Messinia, offers you alternative and economic holidays with discounts up to 20%. The restaurant of "Kastro Oia" is located in the most beautiful corner of Santorini, Oia village, just a breath away from the sight of the Castle. Photos from the Handover Ceremony for the Olympic flame in 28/4/2016 at the Panathenaic Stadium in Athens. Discover Athens through the amazing Timelapse created by Stian Rekdal.